Mar 2012: This is an archived page. 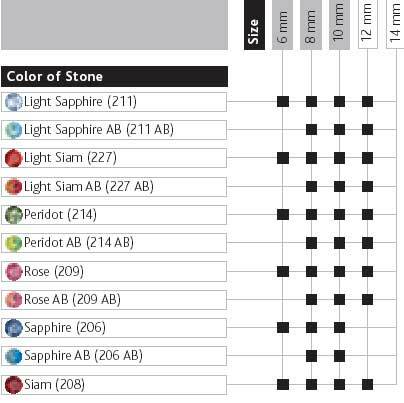 Please refer to Swarovski Crystal Sew-on Stone 3700 Marguerite Lochrose for the full updated version. 3700 Swarovski Austrian crystal margarita sew-on/beads. 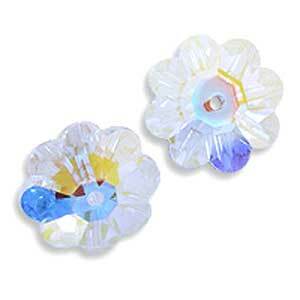 They are sometimes called "Daisy Spacers" or "Marguerite Bead" or "Flower Bead". 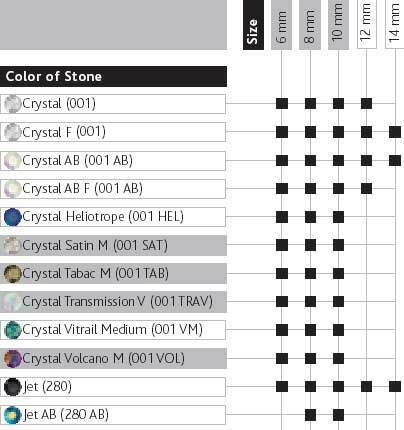 Swarovski themselves classify this under their "Sew-on Stones" category. 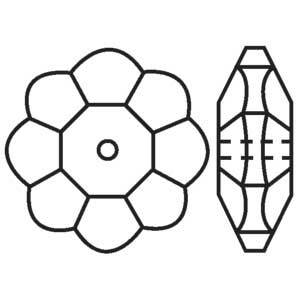 They have a center hole and is designed to be easily secured to garment, accessories, as decorations and for use in embroidery. 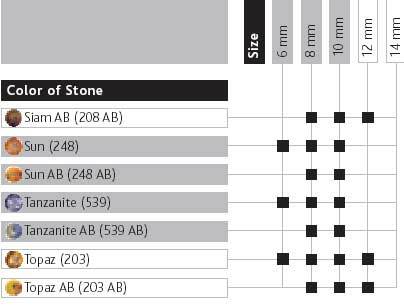 But in the general populace, they are as popularly used as beads in the form of spacer beads or by stacking various sizes of these to make fast but effective earring dangles. 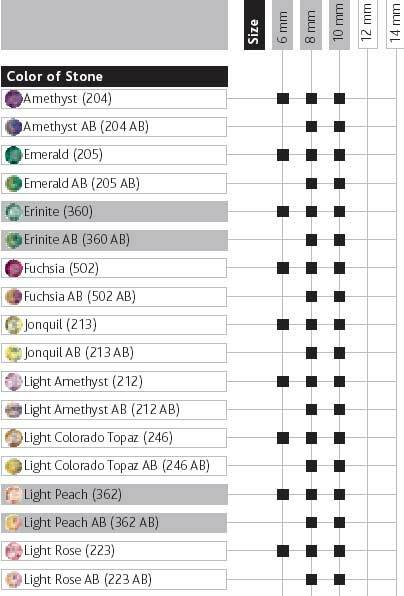 #3700 comes in 5 main sizes at the moment but in a huge array of Swarovski colours.